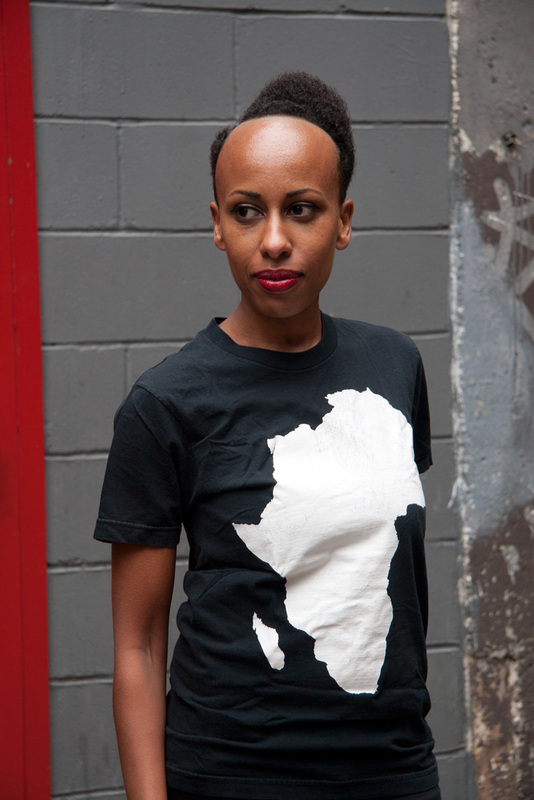 Missla Libsekal is the founder and editor of anotherafrica.net, a journal dedicated to contemporary art and design. A young woman with a keen curiosity about the world, Missla Libeskal was born in Ethiopia, moved to Swaziland and then to Canada, after which she lived in Japan for ten years. She has since lived in New York, and is now settled back in Vancouver, Canada. I first met Missla during one of the UBC Africa Awareness Initiative Conference Week events, where she led a discussion on art and culture, and their value within conversations about the African continent. Missla graciously agreed to chat with me via Skype! Here are the fruits of our delightful conversation. When we met a few weeks ago, you mentioned that you began your career in writing having studied a completely different field in university. Could you share a bit about that? What was your university focus? What inspired you to become a writer, and to create an online magazine? I studied business and management in school, and later worked as a project manager. For ten years I lived in Tokyo, where I worked in a technology company. While there, I encountered front-end designers who were working on all sorts of different concepts and visual treatments, and that was really the first window that I had into storytelling. Even though it was in a visual and interactive manner, I became really enchanted by the idea of how we tell stories. Writing was something that happened without me willing it or desiring it per se. It was more something I did because I felt it was necessary, rather than because I wanted to be a writer. To be very honest, I’m still very challenged by the term “writer.”- I think we have very classic ideas of what a writer is! All I know is that I use words to communicate. So if we think about it in those basic terms, when you put text down, it means that you’re writing. And that’s what I do. But when you’re doing digital publishing, there are many other elements to play with. There is text, there is audio, there is the interactive aspect as well as moving images, but I see them all as the same thing. Another Africa has worked hard to achieve the ability to speak about Africa, and African art and culture, in ways that inspire, create dialogue, and creatively share a contemporary vision on the African continent. At the same time, Another Africa exists within a wider global context where information about Africa is often very negative. How have you been able to go about bringing Another Africa’s material to audiences that may not be as familiar with the idea of celebrating and exploring African art? We are immersed in a sea of connectivity; it is easy to have this feeling of being destabilized. In some senses you can see the proverbial sands shifting. Take for example the debate around these notions: “Am I an Afropolitan?”, “Am I a pan-Africanist?” “Am I African?” They are heavily debated and contested. So at some point you perceive the fluidity of ideas and it becomes vitally important that you make the commitment to self-determine and say who it is that you say you are. At Another Africa, we write with these questions in mind. Who are we? What do we say that we are? Is there a reason you decided to focus on art? To bring light to the great cultures that have been and exist, and in so doing valorize these cultures – their processes. Art allows us to see and reflect on those processes and design is the functional artifact that embodies them. Both of these aspects are very important because they’re not simply dealing with aesthetics- they reflect us and our ideas. Writing has often been described as a solitary endeavor. Still, Another Africa has grown to be comprised of a host of writers and contributors! At what point did you decide that you wanted to bring more people on board? How do you go about your own personal writing for the magazine? At some point I started to think “this is really ridiculous”! I was just one person trying to write, and I’m not a specialist in all the different areas. It quickly transitioned out of being a blog. I don’t think it ever was my diary, but it was maybe a bit more personal in terms of the writing at the very beginning. But when I realized that I wanted it to become something serious, it occurred to me that just as I had said that we needed complexity in terms of having multiple narratives, it seemed normal to say that there should be multiple voices within Another Africa too. And so probably a year into it I was thinking that there needed to be more people, but it took me a year and a half or two years before I had the courage to start asking people. I didn’t think that people would do it! A career in writing has also often been described as a career that will keep one’s lifestyle humble (no pay!). Would you say that you agree with this? What does it take to succeed in writing, both as a craft and as a good source of revenue? These days, anybody can become a publishing entity and a content provider, especially online. We all have devices that allow us to broadcast, whether on Twitter, Instagram, and so on. So content has become cheap because people provide it for free. The print format has really suffered. They’ve gone online and they’re trying different strategies. Is it paid subscription? Is it not paid? Should we limit it? You know, trying to find the right sort of matrix. So writing unfortunately is one of those things, or the written word, which has at the moment been cheapened simply by the fact that there is just so much of it. At the same time, I know that there are people who have made money writing books or whatever else. But I think that if you’re doing that [making money], it doesn’t typically happen overnight. Rome was not built in a day! What would you define as an ideal day for you? I have no idea! At the moment, there are just so many things that need to be done. I have this note on my desk where I have specified “one hour for e-mail, one hour for editorial work and three hours for writing every day” but I hardly follow it! Like this morning I had an editorial meeting with one of the interns in Cape Town (South Africa), and now there is this interview with you, and then in the afternoon I have a meeting with one of the writers in New York. I have deadlines too, for example a pitch that I’m working on with an artist to put together an idea to get a grant. So it’s chaos! I’m multi-tasking; it’s intense. Though as a writer, one of the things that I’ve had to do, am always doing and will continue to do in future, is to try to understand how language comes together. Everything from syntax, to punctuation, to the words that we use and their meaning. So I read the dictionary almost every day. Have you had the chance to travel to some of the places you have done features on? Is there any trip that stood out for you? Yes, I do travel for special feature coverage or research. From my recent trips, Morocco stands out. I felt very at peace there, which was unexpected; I really hadn’t had that feeling since I left Japan. It was really mesmerizing: this place that exists between the old and the new, between a pastoral way of life and an urban one; between the European and the African continents and Maghreb. It is a country where you are always immersed in history and culture. For example, it has some remarkable architectural sites: medina of Fes, Art Deco and futurist architecture in Casablanca and Rabat, and so forth. I felt like Alice falling down the rabbit hole. Hmm… I’ve done quite a bit of travelling in my life. I think that to be somewhere that you are not accustomed to, or are different from, will always present new opportunities to be open and to see what you have not seen. So on that account, I am interested to see the world. Releasing our truest thoughts, feelings and dreams into the world can be quite nerve-wracking. Did you feel this fear when you began? How were you able to get over it and publish if so? If not, any words of encouragement to those who may be feeling it? I realized was that there was no reward for not trying. And if you have a desire, no-one else has the responsibility to make it come into fruition except you. So fear is an aspect of the experience, but you ultimately need to decide on what you will do with that fear. For me, the goal is much more important than the fear. And so it’s literally trial by fire. I’m still afraid of writing. I’m always asking myself: Will I be able to say all I want to say and be intelligible? Will it facilitate conversation? Having some degree of doubt is always healthy. But when the doubt is too great it becomes an inhibitor. So it’s a negotiation of that. As long as I feel the need to speak within a certain space, I will write. But I wouldn’t say that it’s something that comes naturally to me. You will encounter barriers in life. You will encounter some kind of negativity, whether it is coming from external sources or even from yourself. You need to figure out a way to negotiate that and cope with it, remaining committed to the journey, come rain, come sunshine, whether you’re with people or not. There have been some days when I have wanted to quit; some days I have wondered what’s the point. But then each time I return to this kind of compulsion that this is the space that I want to be a part of. This is the space that I want to converse in. This is the space where there are so many vile things happening that need to be released and need to be engaged with, and I want to a part of that. So you have to keep moving forward be your biggest motivator. You yourself have to make the investment. A popular thought exists, that the amount of information available on the internet and the speed at which it is released has led to a shorter attention span on the part of the reader. What have you have been able to learn about keeping an audience engaged? Tips? The 24-7 media onslaught is making us all rather attention deficit. And whilst there are all kinds of manuals, do’s and don’ts, I will touch on 1: Be true to your own voice and motivations. You need that to underpin your efforts. I am curious about whether your family has influenced who you are today. There is the saying: “Give a man a fish and you feed him for a day; teach a man to fish and you feed him for a lifetime.” Intellectually speaking, there is a part of Another Africa that has that philosophy behind it, which was informed by my upbringing. I have grown up feeling whole in all ways, including culturally and intellectually. And I can say that it was that kernel that awoke me to addressing the disparity of what the world was saying about me, and my people. Where do you see Another Africa going in the next five years? I’d certainly like to see Another Africa continue to grow and become even more robust. I’d like to see us having a wider array of writers, as well as a multiplicity of ideas that could be alike, similar, and completely contradictory at the same time, yet all at home within this space called Another Africa. Joy Richu is a Kenyan writer and storyteller, completing her BFA in Creative Writing at The University of British Columbia. Her dream is to use the power of storytelling to create new realities (while bringing to light the old forgotten ones), in the hope of an even more holistic and inclusive view of what is beautiful, admirable, and ideal.